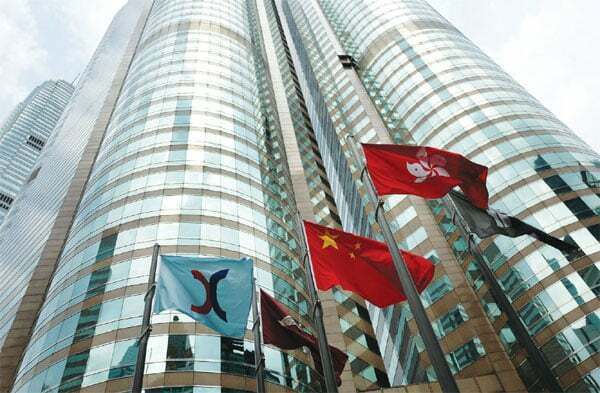 Charles Li Xiaojia, the chief executive of the Hong Kong Exchanges and Clearing (HKEX), recently stated at the World Economic Forum in Davos on Wednesday that it is quite necessary for the cryptocurrency related organizations to be more “consistent” with their existing business model before going public thereby ensuring transparency and accountability of every transaction. Though he did not mention any specific name, it looked like he was talking about the latest Bitmain IPO application along with many other crypto mining firms who have recently launched their ICO’s and gone public in Hong Kong. Li gave his opinion when the media asked him on the status of the recent public issues by few of the world’s largest crypto mining rig firms. Firms such as Bitmain Technology, Ebang International Holdings, and Canaan Creative are the three major crypto mining rig companies who have filed to go public recently in the Asian region. We can hence guess that Li was talking about these three companies. Due to the so-called crypto winter seen over the entire 2018, the value of IPO’s launched by these three firms have lost ground up to 80% and are currently facing losses. The entire crypto market is still finding to difficult to recover. From his statement, it seems like Li was taking a hit at the mining giants on how they were taking shelter of successful business models to validate the future success of an entirely different business model. Further, li believes that crypto applications are not consistent. If the assumption of Li taking about Bitmain, Ebang, and Canaan Creative is right then their applications on the business model is surely inconsistent as currently, all the three crypto mining firms are planning to enter the AI industry, but their application includes business model around crypto mining equipment as their initial success came from these. In case Li is taking a shot at the Bitmain IPO, then it might not be a positive thing for the crypto mining giants and on their strategies to expand into the field of Artificial Intelligence.